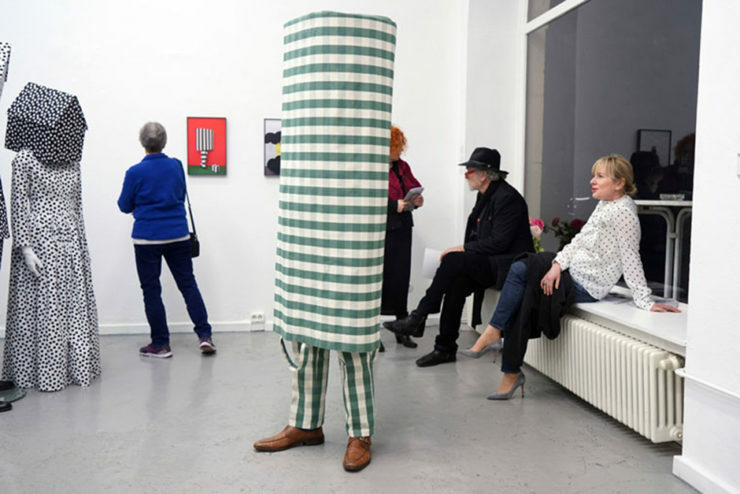 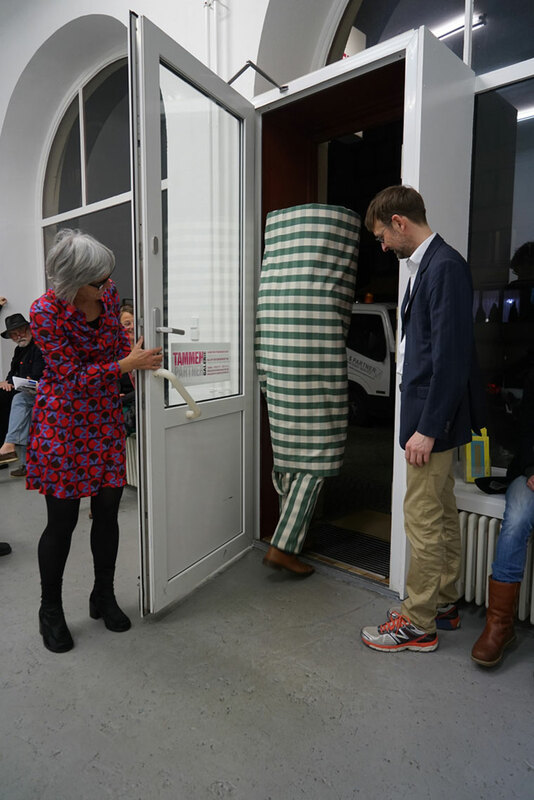 Sculpture is leaving the exhibition ( 2017) was a performance during the opening of the exhibiton “Coole Typen” in gallery Tammen en Partner in Berlin. 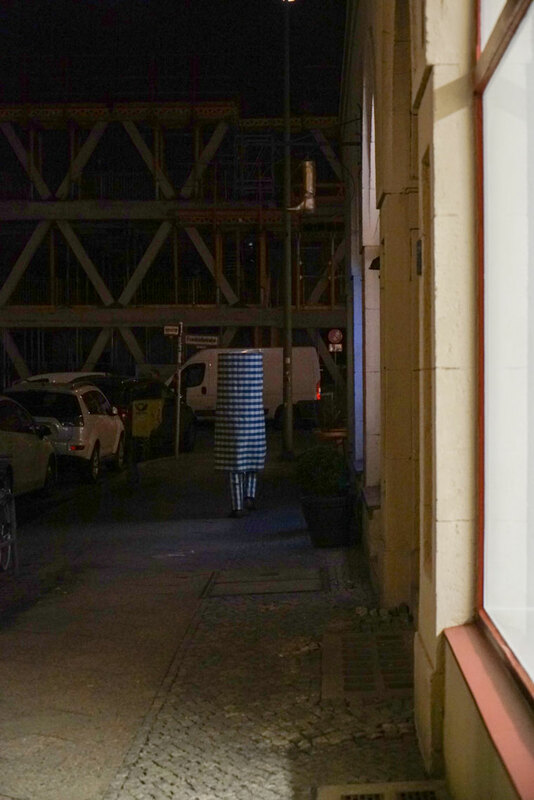 The living sculpture sings and moves now and than, after one hour the sculpture leaves the exhibition. 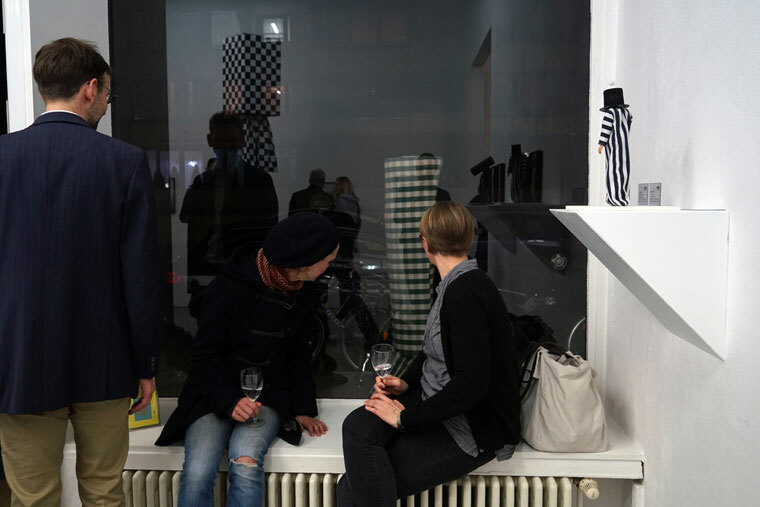 A cooperation with Frans van Tartwijk.